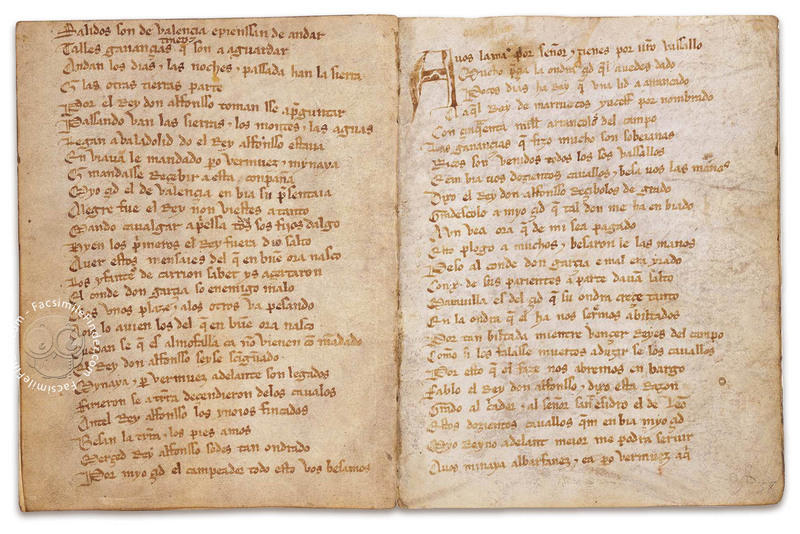 Manuscript book on parchment − 19.5 × 15 cm − 148 pp. Full-size color reproduction of the entire original document, Cantar de Mio Cid: the facsimile attempts to replicate the look-and-feel and physical features of the original document; pages are trimmed according to the original format; the binding might not be consistent with the current document binding. 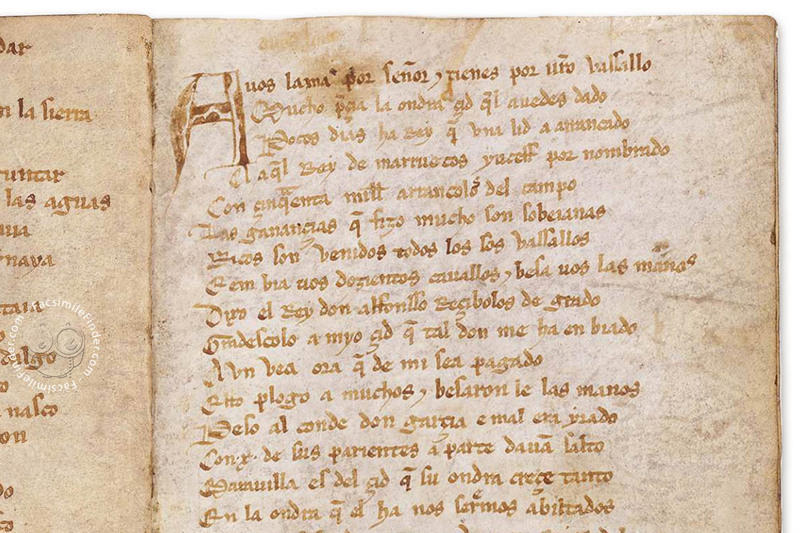 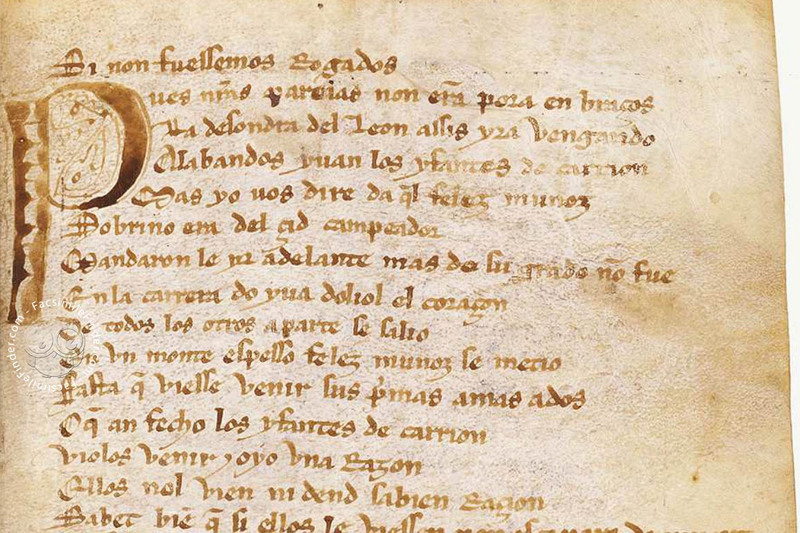 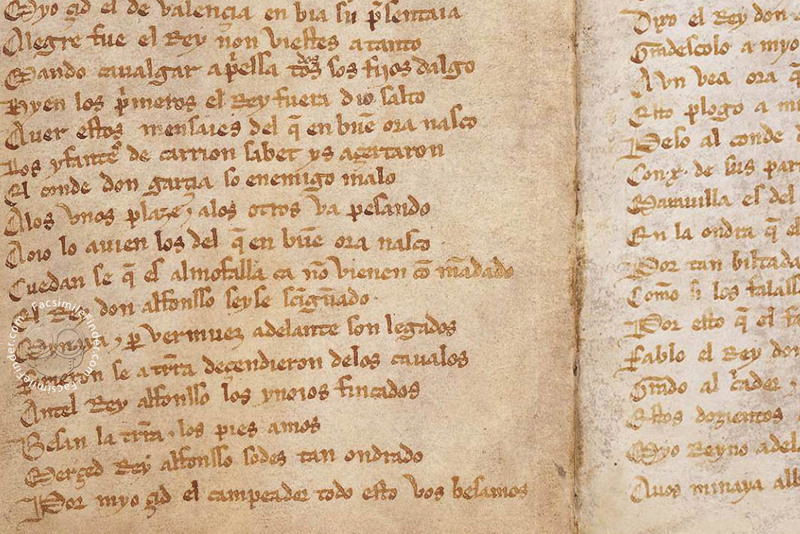 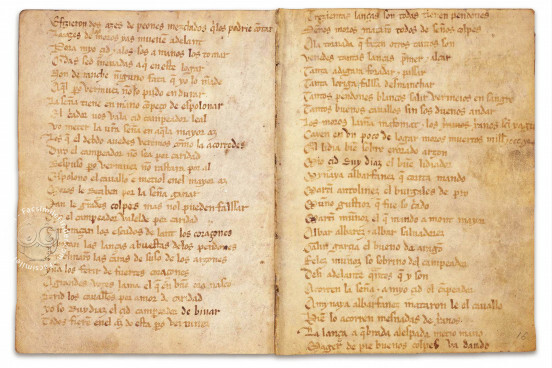 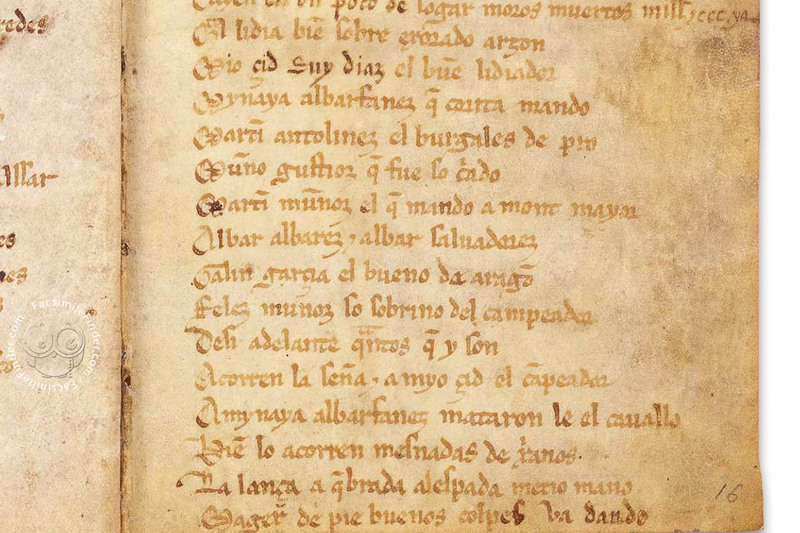 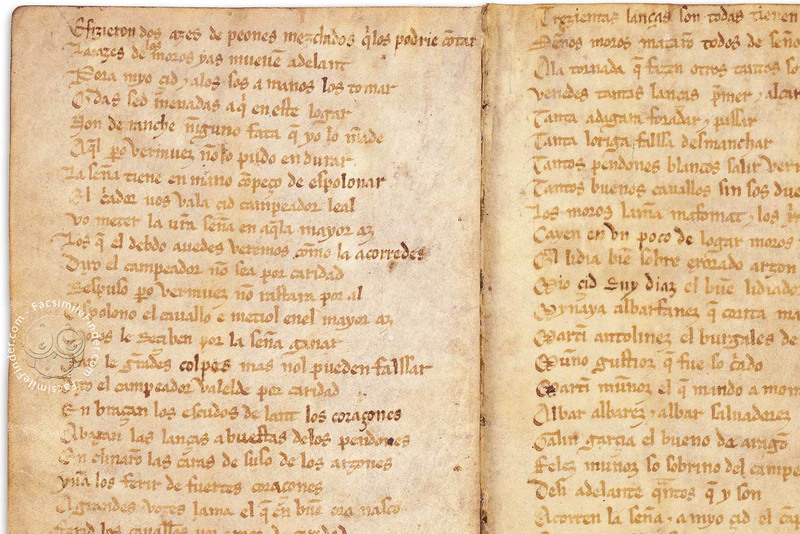 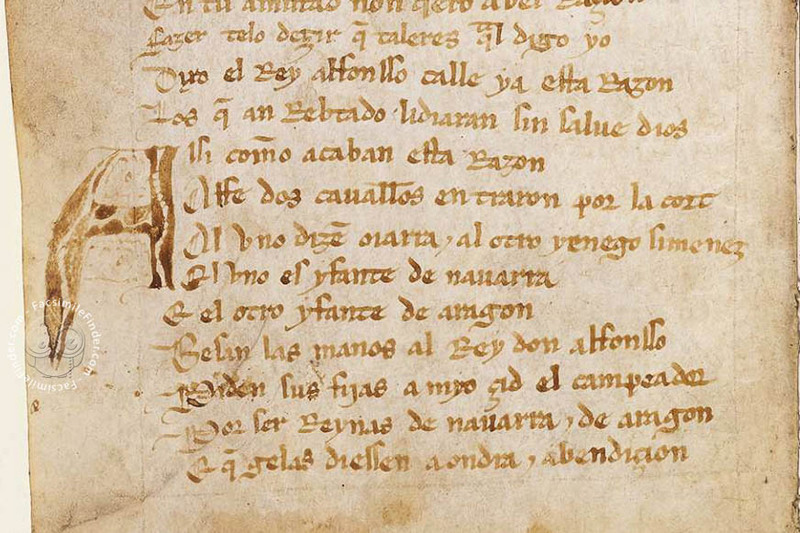 Boxed set containing a facsimile of the so-called 'Codex Vivar' in the Biblioteca Nacional de Madrid of the 'Cantar de mío Cid' and a verse translation of the 'Cantar' into modern Spanish by Pedro Salinas.